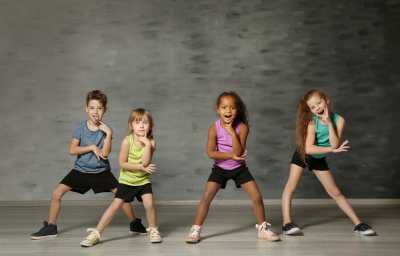 Hip Hop incorporates current music and street dancing with rhythmic isolations, syncopation, and the latest hip hop moves to excite and inspire young dancers. Hip Hop classes are held on Monday afternoon. Students in K-2nd grades have class from 4:15-5:00 pm. Students in grades 3rd-5th have class from 5:00-5:45 pm. Appropriate attire is required to ensure the proper training, safety, and learning environment. No dresses or skirts, please! Sneakers that have not been worn outside. Caroline Ogando has a B.A. in Dance with a Concentration in Studio Teaching from Montclair State University. Caroline has performance experience as a member of the Montclair State University Dance Repertory Company, American College Dance Festival, the 92nd Street Y in Manhattan, as well as toured at area elementary schools. Her teaching experience includes The Shannon Miller Academy for the Performing Arts in Montclair N.J., Union Congregational Weekday Nursery School in Upper Montclair N.J., and the Joan Harris Centre for Gifted and Talented in Pennsylvania. Bloomfield NJ and surrounding communities. Registration for the 2019-2020 school year has begun. Please call to schedule an appointment.